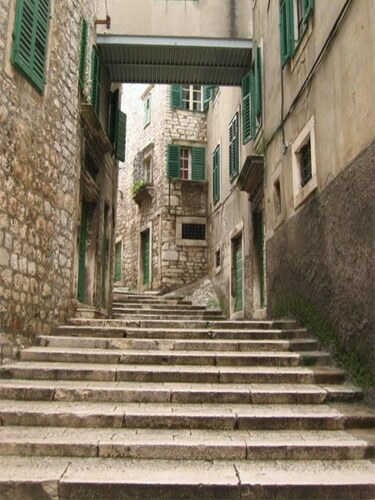 Šibenik is one of the first towns I visited in Croatia. 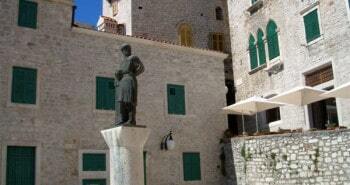 Living at that time in Primošten which is a small charming village in North Dalmatia, Šibenik is the main town of the region. 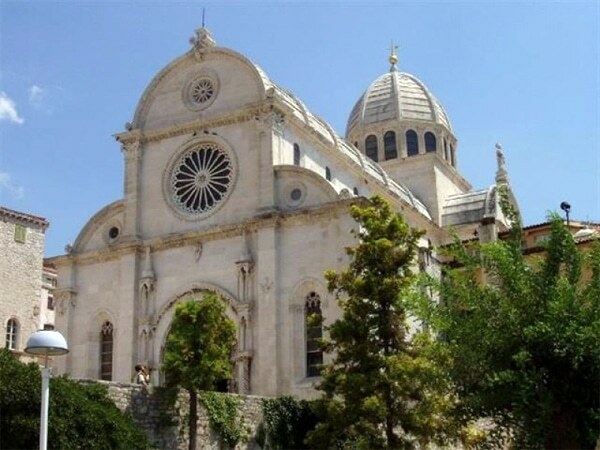 Šibenik is known as the first town founded by the Croatian people, but today it is most famous for the cathedral of Saint James, protected by UNESCO as a world heritage of humanity. 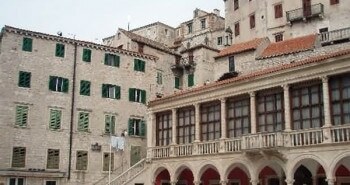 It is a real disappointment when arriving in Šibenik to see so many old concrete buildings at the entrance of the town. 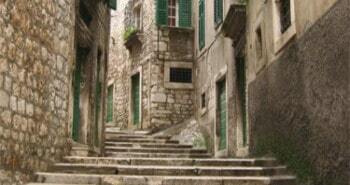 Šibenik was an industrial town during communism but lost everything during the war. However, once you arrive in the heart of the town, in these small streets made of stone you will fall in love with this beautiful town. 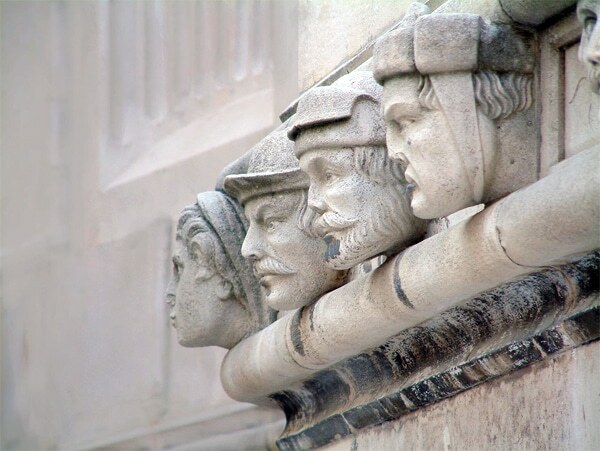 Walking in the maze of streets you will discover a real jewel of extraordinary whiteness, Saint james cathedral. 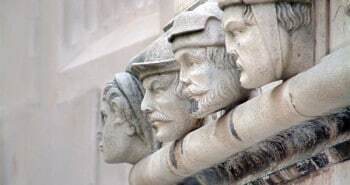 It is a magnificent monument, a true work of art, which has been recently renovated and has recovered the whiteness of the country’s stone. 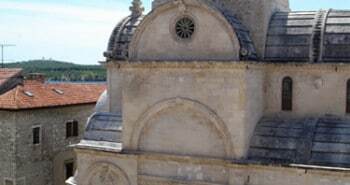 It is interesting about this cathedral that the dome was built without any mortar or other binding material . 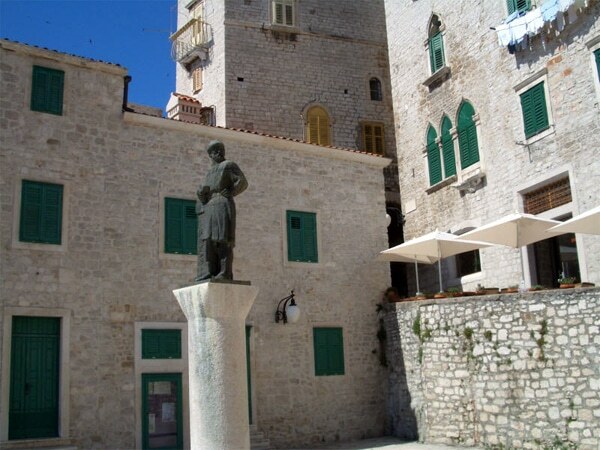 Once you reach the forecourt of the cathedral you will be facing the statue of George the Dalmatian (in Croatian Juraj Dalmatinac), the architect of the cathedral who is looking at his masterpiece. 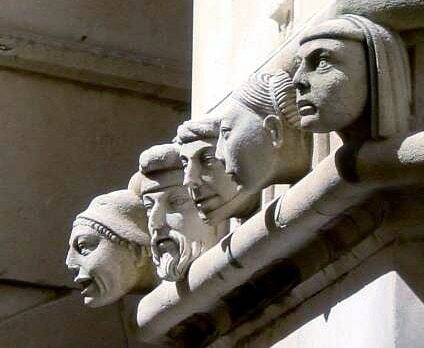 He also realised a frieze of 72 stone portraits on the exterior part of the apse. George the Dalmatian represented 71 men who were living at his time, and only 1 woman (she wears a bun). It is actually his daughter. When you enter in the cathedral you will be surprised by the contrast with the outside part, since the inside part has not been renovated and the stone has become all black. 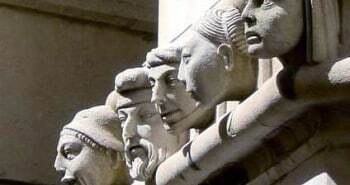 Once you pass the choir you will arrive at the baptistery, it is a real masterpiece and it is worth the visit. 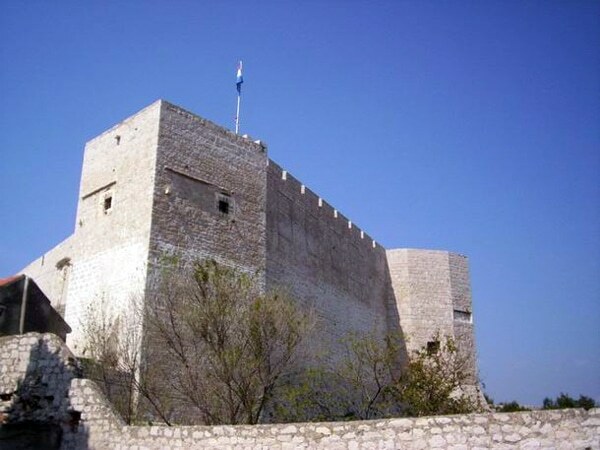 Continue then to St Michael’s fortress (in Croatian Sveti Mihovil) from 1066. 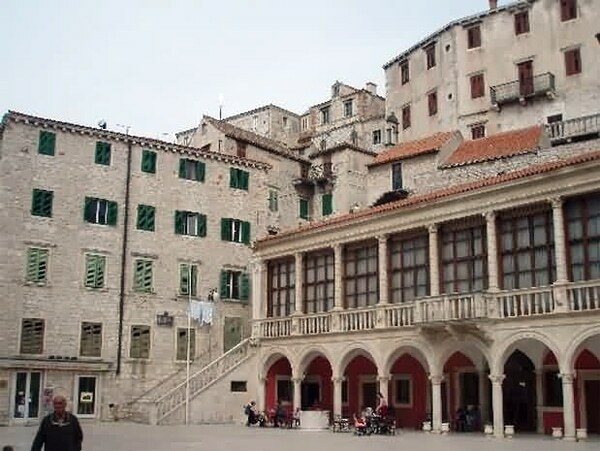 It is situated in the old town, to get there you will have to take the stairs and steep alleys, follow the signs to Ste Anne cemetery (in Croatian Sveta Ana). The view over the town and the islands is amazing. 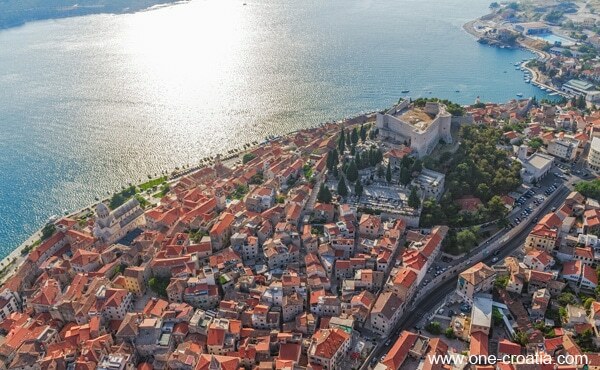 You can see the old town with the cathedral, St John’s fortress (Sveti Ivan), St Nicholas’ fortress (Sveti Nikola), which is situated in the sea at the entrance to the canal, Šibenik’s archipelago and Kornati islands. 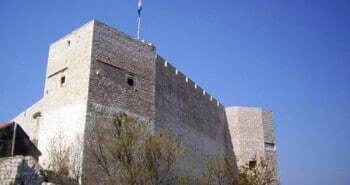 Šibenik is a modern town that has forgotten its industrial past and looking forward to invest in tourism. Entering the town you will pass in front of modern shopping centers and cinemas. The town hosts as well luxury hotels. 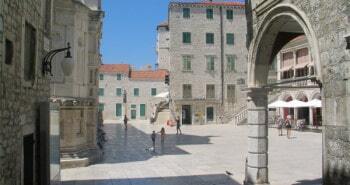 Šibenik also invests in the cleanliness of the town and the renovation of buildings. 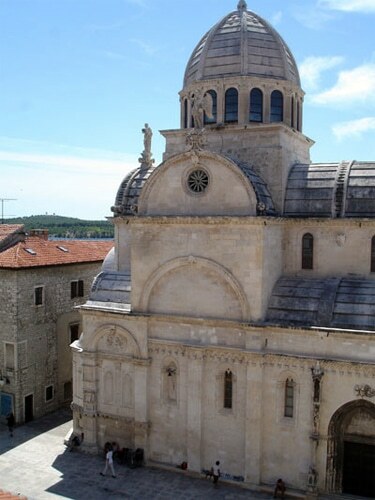 Thanks to the highway Šibenik is closer to the main towns of the country. 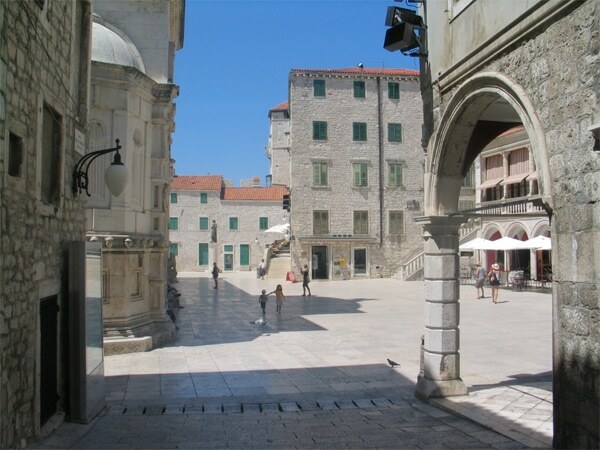 Its situation is ideal for one-day excursions to Zadar, Kornati islands, Plitvice and Krka national park, Trogir or Split. Solaris hotel complex situated just outside the town has also invested a lot in the past few years to renovate its hotels and offer new activities for children and adults. If you don’t sleep there you can still spend a day on its beautiful beaches. There is as well a great aquapark there. 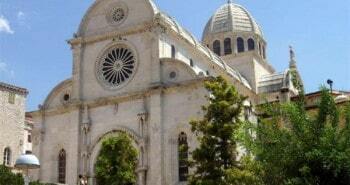 Šibenik is the ideal destination to spend your holidays in Croatia. You can enjoy there the beach and visit national parks and beautiful towns rich in historical monuments.